Recently the German Electronic Music club Schallwende released another sampler CD. It was a special double album for the celebration of the 10 year anniversary of the Schallwelle Awards. 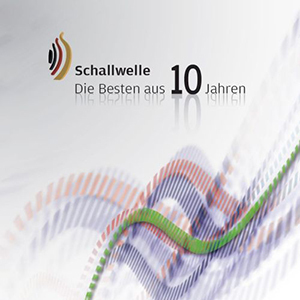 On this CD are 22 track by all the Schallwelle Award winners of the last ten years. As you might remember I won two of these awards. The public price with my OceanoGraphy album and the jury price with my Apollo album. So I'm proud to be on this CD off course. This track is special for me. I hope you like it. I made it during the sick bed of my father in law. He died in the mean time, we just buried him. I would like to dedicate this track to him. The name of the track is 'Taurus'. This was his 'zodiac' (Sternzeichen/Sterrenbeeld) and mine too, so we shared that. He also fought like a bull against death during his 9 months sick bed. The track is mastered by my friend Hans Landman. 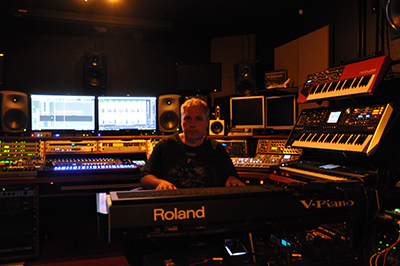 You can listen to the track on my website on this URL: http://www.synth.nl/music/samplers/schallwelle10y. Hi, first of all I'd like to wish to all the very best for 2018. Happy New-year ! I know some of you wonder if I'm still alive. Well the answer is yes, but the last years I have been very busy with both RenderFarm.NL and Virtiso. By now I have sold both of these companies and I'm a free man again. In the end it gave me too much stress and I almost suffered another burnout. So I decided it was enough. I'm still involved in the background with my first company BIT BV, and will continue to do so. No plans at this moment to start something new. I was asked by BIT Datacenters in The Netherlands to make a background track for their new company video. Here you can watch the video and hear the music I created in the background. First of all a Happy New Year to you all! To start the year of I made video of some nice footage we shot on our 2014 family holiday in Alaska with some music from my OceanoGraphy album. I hope you enjoy it!. In 2010 I was contacted by Thomas de Rijk who was studying at that time at the Willem de Kooning Film Academy in Rotterdam. He asked if I wanted to cooperate in a documentary for his school project. And of course I agreed. He made this very cool documentary about my burn-out and how I got into producing my own music. I think he did a great job! The documentary is in the Dutch language, but it has English subtitles. I hope you enjoy it. I has some nice NASA HD footage (courtesy NASA) and also some nice shot from my Apollo Studio. It took a while before it ended up online, but here it is:) The music you hear is coming from my Apollo album. I hope you enjoy it. Thanks a lot Thomas! Bellerob did it again! This time he made a very nice video with the track 'Paper Planes' from the PrimiTiveS album by Remy and Synth.nl Enjoy ! Copyright © 2016 Synth.nl All Rights Reserved. This website was create by Michel van Osenbruggen and is hosted by Virtiso BV.